Caroline Irby – TIM HETHERINGTON SHOWING A BLIND CHILD FROM SIERRA LEONE HOW TO USE A CAMERA, AROUND 2004. IT’S FIVE YEARS TODAY SINCE HE WAS KILLED IN LIBYA, BUT HE INSPIRED AND KEEPS INSPIRING SO MANY YOUNG PHOTOGRAPHERS TO WORK MORE CREATIVELY. CAN’T CLAIM TO BE A YOUNG PHOTOGRAPHER ANY MORE, BUT WAY BACK HE GAVE ME GREAT ADVICE WHEN I WAS STUCK WITH ONE PROJECT: ‘SHOW IT HOW IT FEELS, NOT HOW IT LOOKS.’ I REMEMBER THOSE WORDS ON ALMOST EVERY SHOOT I DO. 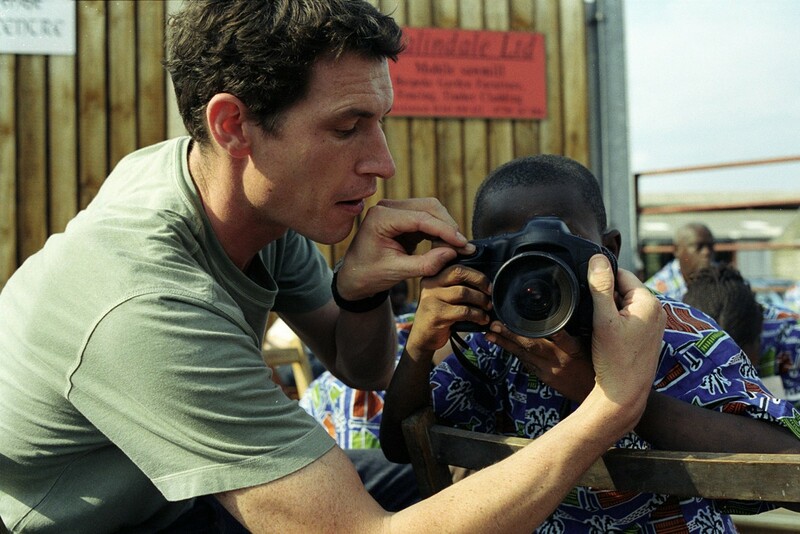 TIM HETHERINGTON SHOWING A BLIND CHILD FROM SIERRA LEONE HOW TO USE A CAMERA, AROUND 2004. IT’S FIVE YEARS TODAY SINCE HE WAS KILLED IN LIBYA, BUT HE INSPIRED AND KEEPS INSPIRING SO MANY YOUNG PHOTOGRAPHERS TO WORK MORE CREATIVELY. CAN’T CLAIM TO BE A YOUNG PHOTOGRAPHER ANY MORE, BUT WAY BACK HE GAVE ME GREAT ADVICE WHEN I WAS STUCK WITH ONE PROJECT: ‘SHOW IT HOW IT FEELS, NOT HOW IT LOOKS.’ I REMEMBER THOSE WORDS ON ALMOST EVERY SHOOT I DO.